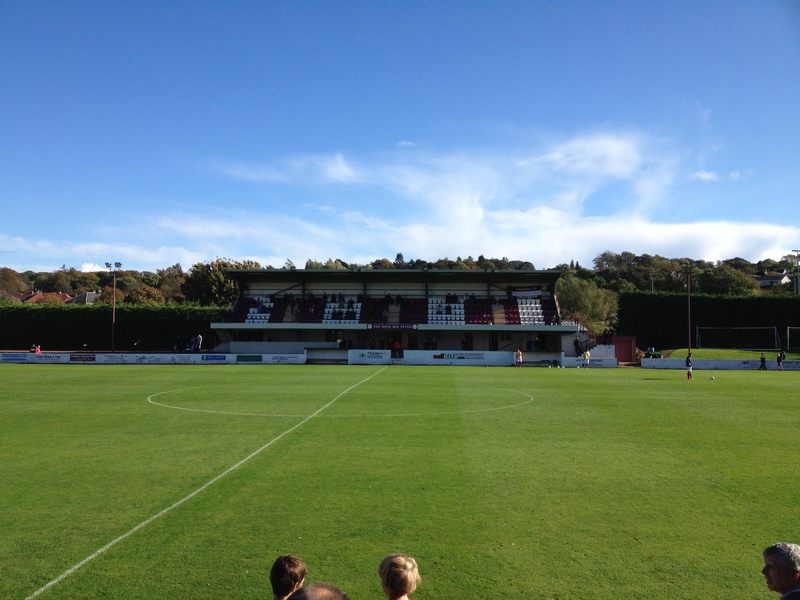 Another free Saturday afternoon for me could only mean one thing – a trip to West Lothian to see Linlithgow Rose. 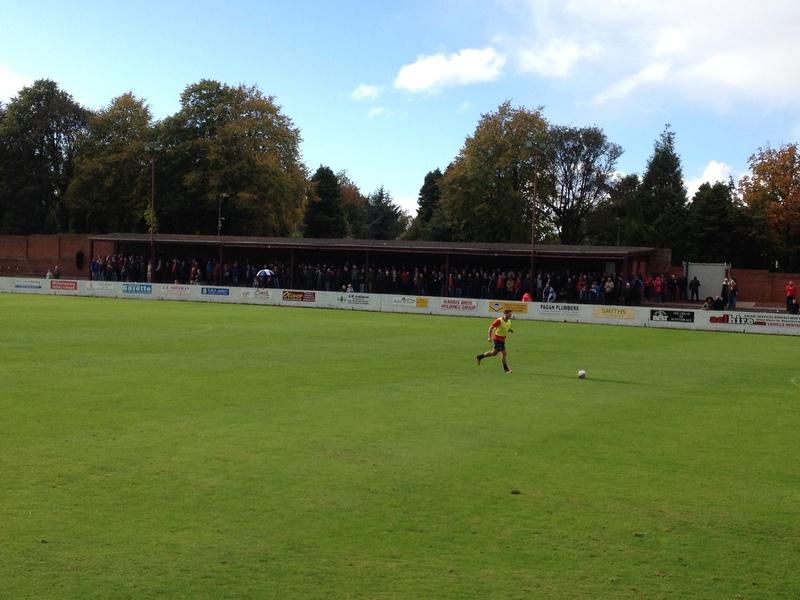 This time Rose were on grown-up (as opposed to Junior) Scottish Cup duty, as they were on my first football-watching visit to Linlithgow a year ago. Having made it past Fraserburgh in the first round after a replay, this time Rose played host to Dalbeattie Star, who play in the newishly-formed Lowland Football League. It was Dalbeattie who made the more impressive start to this match, with the men from Kirkcudbrightshire knocking the ball about for fun in the opening 10 minutes or so and Linlithgow’s defence just about holding firm. It was all the more surprising, then, that Rose opened the scoring after 11 minutes. The goal came from several Star failures to clear their lines – eventually the ball broke to Tommy Coyne who knocked the ball calmly past the Dalbeattie keeper. The first half continued to be largely controlled by Star, though as the 45 minutes wore on, Rose started to create more with Coyne guilty of slicing an effort wide when he perhaps should have doubled the home side’s lead. Three minutes into the second half Linlithgow doubled their lead from a goal that wouldn’t have looked out of place in a stadium with 10 times the capacity of Prestonfield. An exchange of passes on the right found Blair Batchelor driving into the area. His square ball picked out Roddy MacLennan perfectly at the back post and the Rose midfielder knocked in for 2-0. Star pulled a goal back a few minutes later. Linlithgow left-back McGown was too easily skinned by Dalbeattie sub Park, who then somehow side-footed the ball into the opposite top corner from the right hand edge of the six-yard area. Two minutes later however, Rose’s two-goal advantage was restored. A well-worked set piece from Adam Nelson found the forehead of Colin Strickland, whose header was proficiently guided past the Star keeper. Goal number four for Linlithgow came 12 minutes from time. Another lovely passing move led to Tommy Coyne squaring one for Strickland across the edge of the penalty area. The Rose number 9’s effort was strong enough to find its way into the back of the net despite the endeavours of Star keeper Drysdale, who had a dreadful mohawk to console himself with. The fifth goal for Rose was rather similar to the fourth and arrived in the final few seconds of the match. Some more sloppy defending and a failure to clear a second or indeed third ball led to Kevin Kelbie finding the net , again via some parts of Drysdale’s body. In all then, a fairly easy win for Linlithgow. Though Star did monopolise possession for periods in the first half, their somewhat haphazard defending ultimately let them down. As ever I was impressed by Rose midfielder Andy Shirra – the man rarely wastes a pass and does not stop for the entire 90 minutes. The home side were rewarded for their thoroughly professional performance with a bit of a glamour tie in the third round, at home to relative giants Raith Rovers. As an aside, one observation I would make is that Rose, a Junior side, were clearly far too strong for their Lowland League opponents – and Star finished the inaugural season in the Lowland League in 3rd place. What is patently obvious is that in order for the new pyramid system to work properly, the SFA and SPFL need to involve the Junior game in that pyramid. Otherwise, the SPFL may have teams in it which ultimately do not deserve to be there and the pyramid loses its credibility. 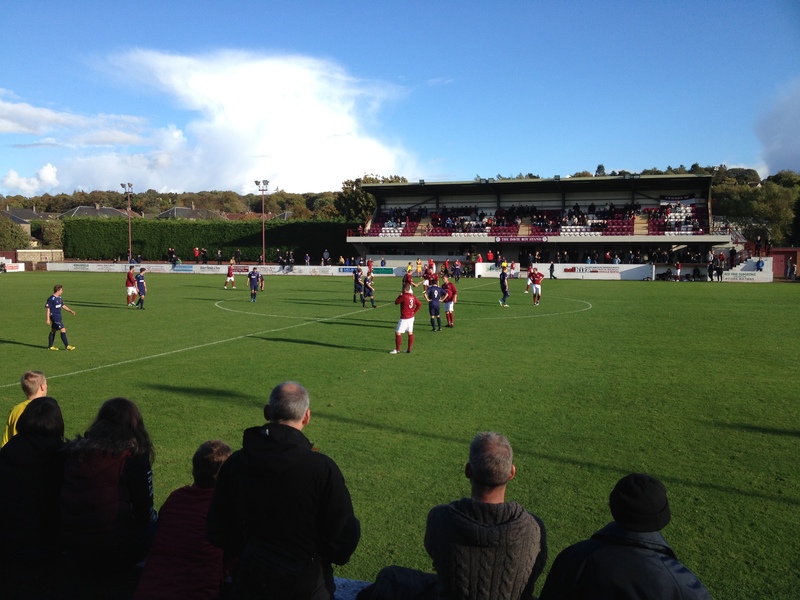 Linlithgow Rose are now associate members of the SFA (hence their presence in this season’s Scottish Cup) and it may be that Lowland League and then SPFL membership is their ultimate goal. However, I do think an effort needs to be made to integrate the Juniors into that Lowland League (and indeed the Highland League) set-up. 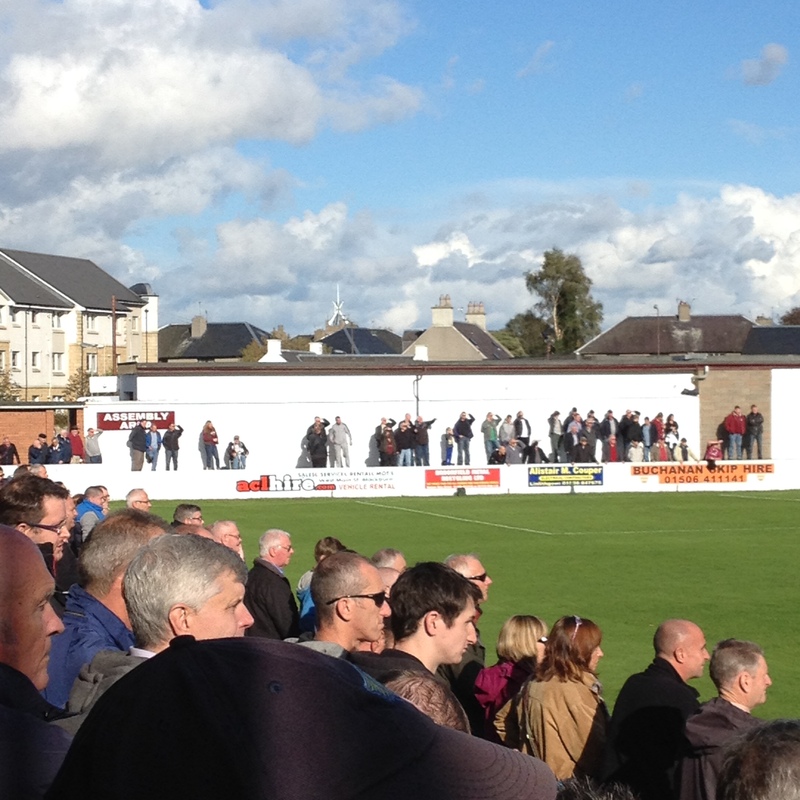 To my mind, a side with the resources and fanbase of Linlithgow Rose should not be denied the oppportunity, if it wishes such an opportunity, to make its way into the SPFL.